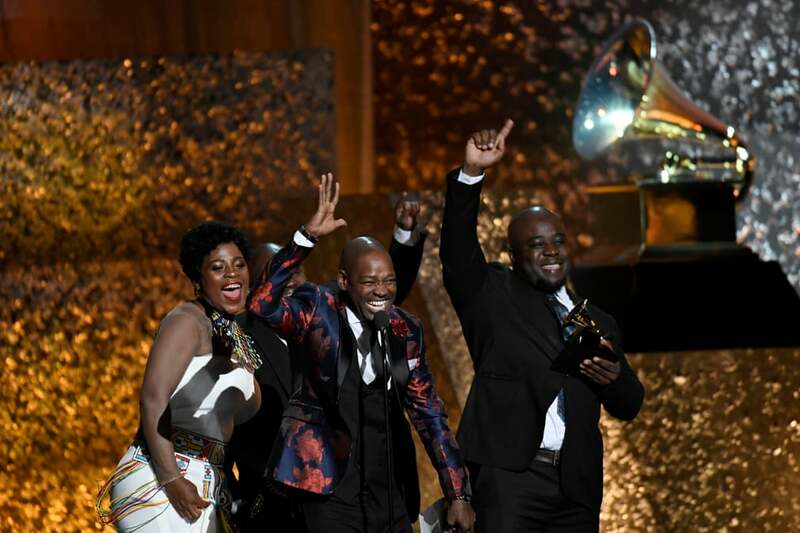 The 61st Grammy Awards happened this past weekend on Sunday 10 February, where artists gathered at the Staples Center in Los Angeles to celebrate the best music performers from 2018. 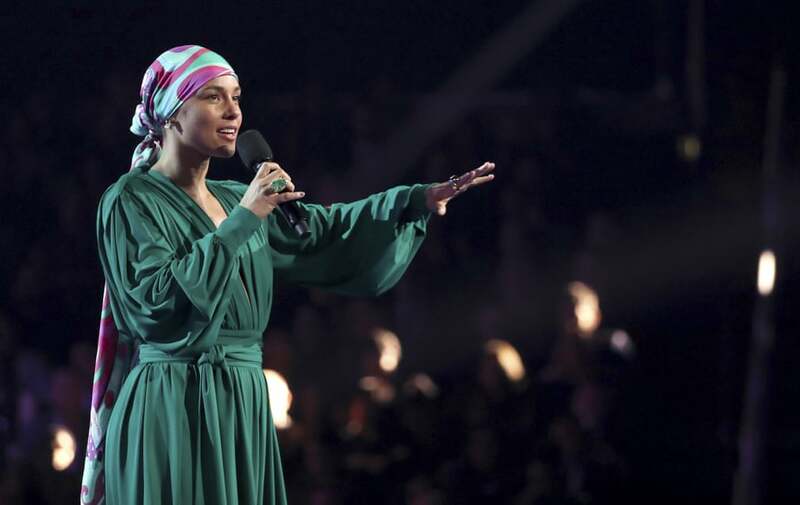 This year’s awards was hosted by talented singer Alicia Keys who attended with her husband Swizz Beatz and close family. The Grammys have been likened to the Oscars of the music industry yet many notable names gave the event a wide berth. Word has it that some did not show up for lack of nomination, lack of interest or not being within the state at the time of the award ceremony. Power couple, Jay Z and Beyonce were missing from the scene despite hosting a pre-Grammy brunch the previous day. Many assume it is because Jay Z did not receive any award in 2018 despite being nominated in 8 categories from his album 4:44 and Beyonce also failed to clinch an award in 2017 for her Lemonade Album. 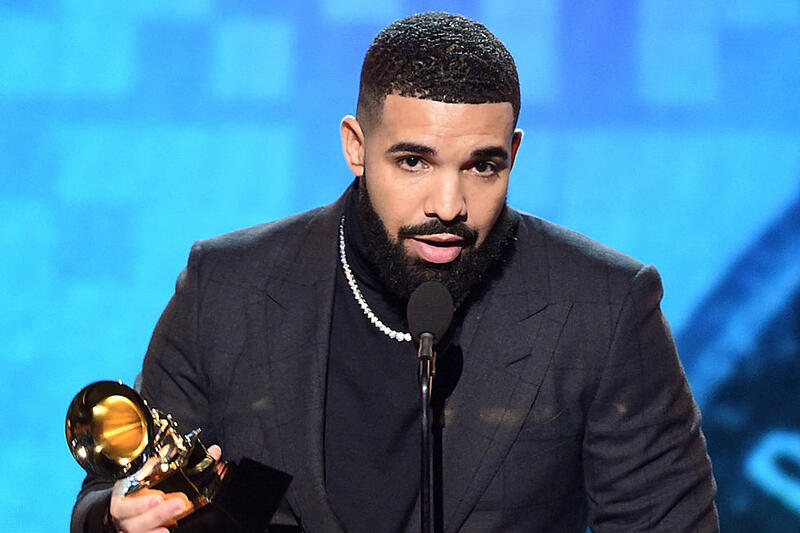 A number of hip-hop artists also failed to attend and declined to perform at the Grammys including Kendrick Lamar, Childish Gambino and Drake, from Drake’s acceptance speech, citing that black hip-hop artists are never recognized enough for their work. “The fact of the matter is, we continue to have a problem in the hip-hop world, when they don’t take home the big prize, the regard of the academy, and what the Grammys represent, continues to be less meaningful to the hip-hop community, which is sad,” Grammy Producer Ken Ehrlich told the New York Times. Despite all the drama surrounding the awards, many various artists got to celebrate and break records that night. Cardi B won her first ever Grammy for the Best Rap Album with her album “Invasion of Privacy”, making her the first solo female artist to do so. Childish Gambino won four awards in absentia. His song “This is America” became the first rap song to win in the record of the year and song of the year category..
South Africa’s Soweto Gospel Choir won Best World Music Album for their album “Freedom”, which was recorded in honor of Nelson Mandela for his 100th birthday. This was the group’s 3rd win and their fifth nomination in the same category. 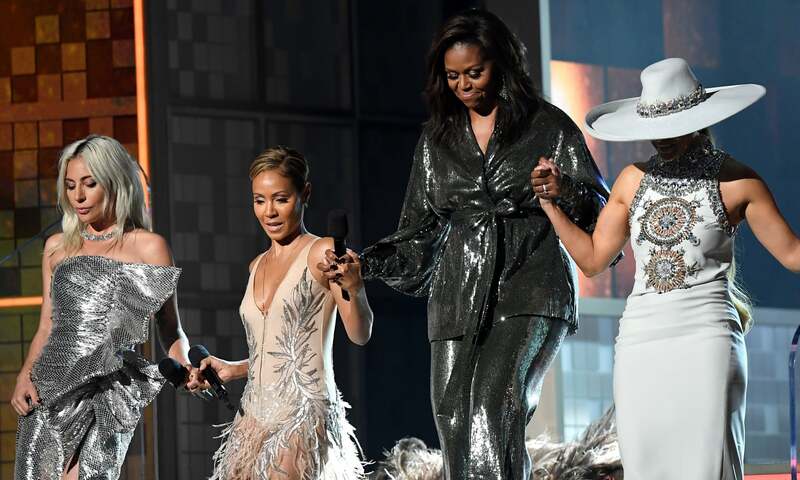 Highlight of the night for most attendees was when First Lady Michelle Obama made a special appearance during the ceremony to surprise her friend Alicia Keys. 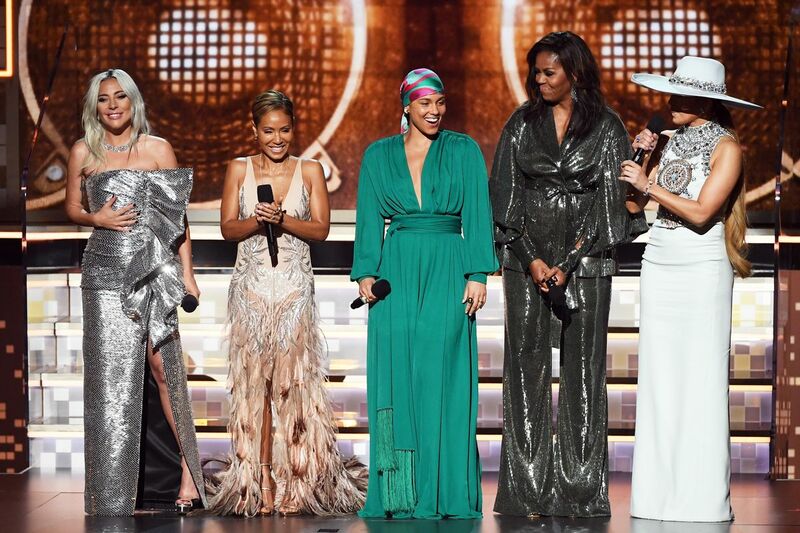 She walked from backstage alongside Lady Gaga, Jennifer Lopez, Jada Pinkett Smith who were present to support Alicia Keys in hosting the night’s ceremony. “A big part of friendship is showing up for your girls—that’s why I was thrilled to be there for the one and only @aliciakeys at the #GRAMMYs. She is one of the most genuine and thoughtful people I know—there’s no one better to help us all celebrate the unifying power of music!” Mrs Obama posted on Twitter.